Hand made from POLYMER CLAY and designed by Debi Allison. 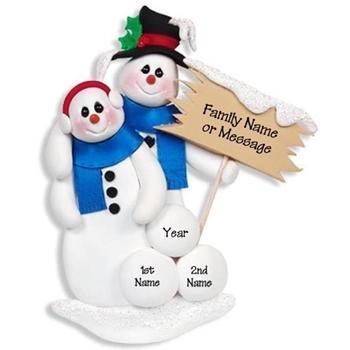 This snowman couple has a touch of glitter for that holiday Sparkle. Comes complete with a hook and satin ribbon for hanging.